You guys. We made it. To the end of the birthday posts for David. To think that I'll be doing this again in what, a week (?) for Letty just makes me want to hide. I'm sure you feel me on that. 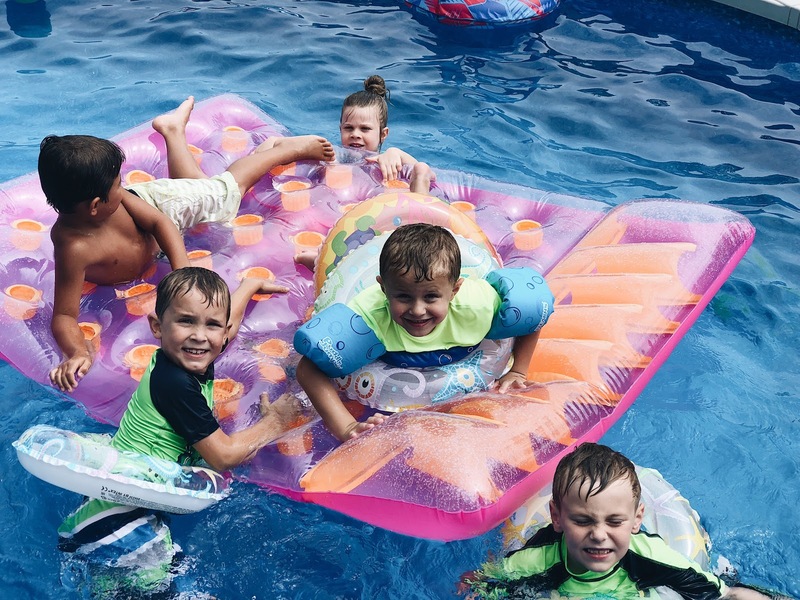 Okay so last year I let David have some friends over to swim and play and all but a few were busy. So. I made sure to text/Facebook message all the moms I could before school was even out so this poor kid could have more friends attend. Even with that far warning quite a few still couldn't make it. Summers are hard. Anyways! Thankfully the rained passed and the sun came out and a party was had! It really wasn't a big deal of a party or anything, just chips and drinks and cake, but these friends of his! They gave the best gifts! I don't even know what to do with myself there are so many new gifts to find homes for! And they all know him so well it's crazy! We also officially have our first fidget spinner in the house. We resisted the craze for so long and now it is done. Fidget spin away David! And Matt. And Letty. It's an addiction! Thanks to all for coming and for spoiling my middle child! He really felt the love over the weekend! And he needed to sleep for like.... 5 days. Being six is hard! living the dream, that one!